How to install an SSL Certificate on Google Cloud Platform? 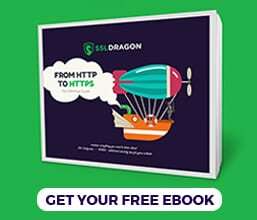 This extensive guide provides step by step instructions on how to install an SSL Certificate on Google Cloud Platform. For users who haven’t ordered an SSL Certificate yet, the tutorial also explains how to generate a CSR code right from your Google Cloud Platform Account. On top of that, you’ll also learn a few interesting facts about Google Cloud Platform, as well as discover the best place to shop for SSL Certificates. If you’ve already generated the CSR code, or aren’t interested in Google Cloud Platform history, you can use the anchor links below to jump between different sections. 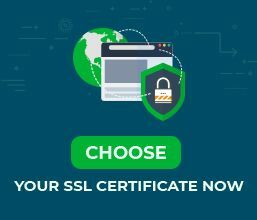 Where to buy the best SSL Certificate for Google Cloud Platform? You can’t get an SSL Certificate without generating a CSR code first. CSR stands for Certificate Signing Request, a block of encoded text with applicant’s details inside. The Certificate Authority uses the CSR code to verify and confirm domain and company identity. You can create your CSR request straight from your Google Cloud Platform Account via the Google Cloud Shell. However, this built-in command line console is only available if you’ve created a Project in your account. To create a project and enable the Cloud Shell, please follow Google’s official guide. Note: You should replace the yourdomain value with your real domain name. As for the private key file, you will need it during the SSL installation. Please, save it in a safe directory. After the CA signs your certificate and sends the files to your inbox, you can proceed with the installation. First, you need to prepare all the necessary SSL files. Log into your Google Cloud account. On the top menu, click the Product and Services button (left side) and select App Engine. Your final sept is to enable the SSL Certificate for the domain name you want to secure. On the Settings page, navigate to Enable SSL for the following custom domains and select your domain name. Congratulations, now you know how to install an SSL Certificate on Google Cloud Platform. After you install an SSL Certificate on Google Cloud Platform, your next step is to check your new installation for potential errors and vulnerabilities. We recommend these high-end SSL tools for instant scans and reports on the state of your SSL Certificate and its configuration. Google Cloud Platform is a suite of cloud computing services offered by Google. Similar to Amazon Web Services, Microsoft Azure, and Oracle Cloud, Google Cloud Platform offers a wide range of products. First released in 2008, Google Cloud Platform provides over 90 services including computing, storage and databases, networking, Cloud AI, management tools, IoT, identity and security, etc. Google Cloud Platform is available worldwide in 17 regions and 52 zones across Europe, USA, Asia, and Australia. SSL Dragon takes care of your sensitive data security, so your website or business can succeed online!